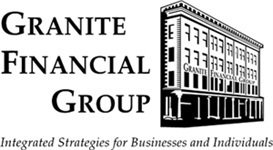 At Granite Financial Group, we work with you to get the crucial answers to your most important financial questions. Either by preparing a full financial plan, or addressing more targeted concerns, we can provide you with the education, guidance and implementation that is right for you. The need for objective advice has never been greater. you must prepare for your own retirement and consider what’s to be done with your estate. securities, or a comprehensive asset management program? How much insurance do you need? Add up all of these important considerations, and your need for competent, objective financial guidance has never been greater.